Arbitration clauses have long been a regular part of business contracts because they are assumed to make resolving business disputes easier and cheaper—but is that always the case? Below, we discuss both the advantages and drawbacks to including arbitration clauses in business contracts. One of the main benefits of including arbitration clauses is that, while judges are randomly assigned to courtroom cases, parties involved in arbitration have the ability to choose their own arbitrator. In addition, arbitration allows parties to bypass the long, arduous, and often expensive process of discovery in a case. While arbitration can still include discovery, it can typically be limited via the arbitration agreement, and the same goes for dispositive motions. With this more limited process and faster timeline, attorneys’ fees are typically much lower than in litigation. Arbitration also takes place in a more informal, private setting. Arbitration conferences can take place by telephone, or in a conference room, where parties involved may feel more at ease. Unlike in court cases, pleadings are not made through a public filing system, and non-parties to the arbitration cannot attend the hearings unless the arbitrator and parties first provide consent. Parties also have the option of adding in confidentiality provisions into arbitration clauses if confidentiality is of concern. Arbitration lacks the firm civil procedure rules that govern court cases, which adds a certain amount of uncertainty into the process. 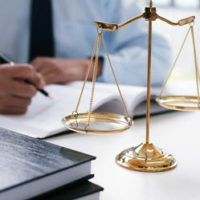 In addition, without the lengthy discovery process included in regular cases, it can sometimes be more difficult for attorneys working on arbitration to discover all of the helpful, relevant information that they need, and thus fully evaluate the strengths and weaknesses of the issue at hand. In addition, parties involved in arbitration must not only contribute to the cost of filing the arbitration, but also pay for the arbitrator’s fees, and these can be substantial, depending upon the complexity of the issue at hand. And while discovery isn’t as elaborate as it is in regular cases, it still exists, and can lead to large quantities of documents that need to be reviewed. In addition, arbitration decisions can only be modified or vacated based upon a very narrow set of circumstances, such as fraud, misconduct, corruption, etc. The courts provide high levels of deference to arbitrators, and notably absent from the list of reasons to vacate an arbitration is the incorrect application of the law by the arbitrator. For these reasons, including an arbitration clause is in your business contracts should not be a knee-jerk reaction, but rather one that you fully discuss with experienced counsel. The Brownsville commercial litigation attorneys of Colvin, Saenz, Rodriguez & Kennamer L.L.P. have been providing strategic legal guidance to businesses for more than 60 years here in Texas. We advise and represent companies of all sizes across a variety of industries. Contact us today to find out more.